The literal meaning of ‘rimé’ is a ‘non-sectarian’ or ‘non-biased’ view. While some relate this to the idea that all systems are equal, it actually focuses on recognising the value and benefit of multiple points-of-view. Through this philosophical approach, the great masters of the past were able to discover the definitive meaning of the Buddha's profound teachings. The Rimé view can be understood in a variety of ways. At the most fundamental level, Rimé is expressed as a feeling of respect based on faith. Such a person may not know the specific reasons for their respect of the different traditions, relying instead on a general sense for the common values that each tradition represents. This level of the Rimé view is often a result of cultural conditioning, positive influences and innate predispositions. From this foundation of respect, individuals begin to develop a more active, inquisitive level of the Rimé view. This is characterised by an open-minded approach which longs to understand the distinguishing factors of the different traditions. There is a sense of wanting to know more, to expand one’s understanding and perspective. It is a process of investigation where the individual actively probes and tests different ideas and in doing so, doubts are resolved and greater insight into the strengths and weaknesses of each tradition is gained. As the individual continues to develop their understanding, their view begins to stabilise, establishing an inner resilience that allows them to face criticism and biased arguments without losing their deeper perspective. They can see how each tradition relates to the others and how they can bring benefit to different types of people. At this level, the individual has cultivated an unshakeable and genuine respect for pluralistic traditions. The Rimé View is most often connected with the great masters of the 19th century Jamyang Khyentse Wangpo and Jamgön Kongtrul Lodrö Thaye. The movement they popularised however, was deeply rooted in the work of previous masters. In the early 16th century, the great master Jonang Kunga Drolchok laid the foundations for the Rimé movement when he travelled extensively throughout the many regions of Tibet. 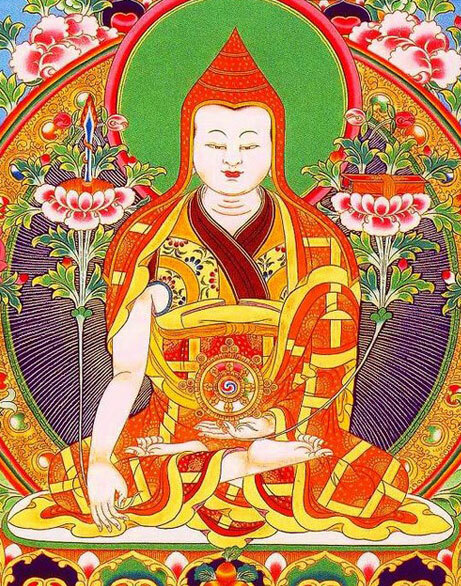 Gathering and practicing a wide variety of transmissions, empowerments and pith instructions, he collected them into his great work “The Hundred Teachings of Drolchok” (drolchok tridgya). 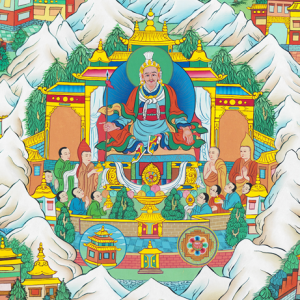 Later in the 16th century, Kunga Drolchok’s reincarnation Kyabdak Drolway Gonpo (Jetsun Taranatha), continued his non-sectarian work by seeking and gathering the transmissions of many near extinct lineages. 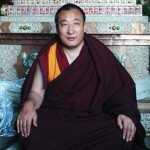 He placed particular emphasis on preserving the teachings of the Shangpa Kagyu, whose teachings survive to this day as a result of his efforts. 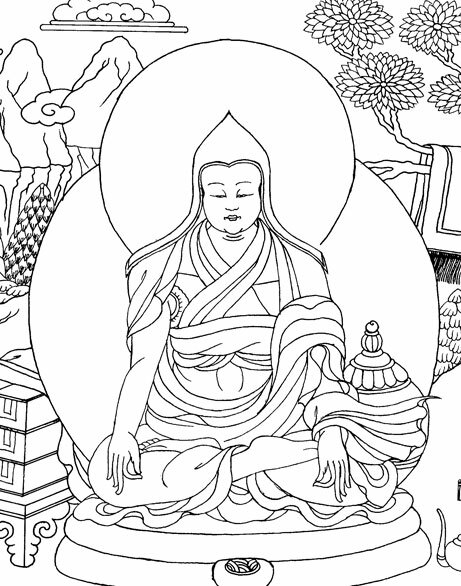 Khyentse Wangpo and Jamgön Kongtrul further expanded on this work by propagating the teachings widely, publishing them and their commentaries into many volumes. 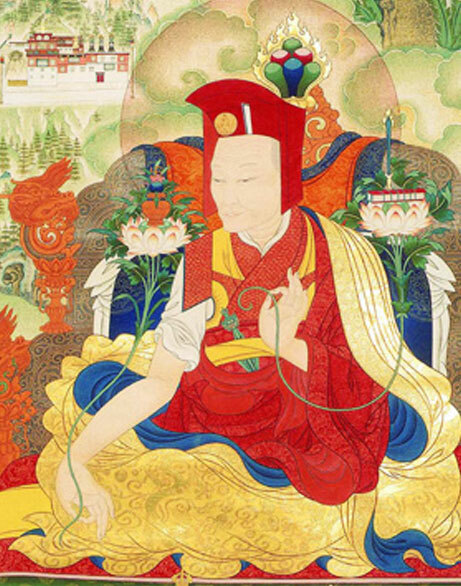 Jamgön Kongtrul, who is believed to be the reincarnation of Taranatha, was responsible for authoring five treatises known as “The Five Treasuries”. These incredibly vast and comprehensive volumes present an extensive range of teachings, empowerments and rituals from the wisdom traditions developed in Tibet. Tibetan Buddhist practitioners have traditionally placed strong emphasis on the view and instructions passed through their own lineage as a crucial means of maintaining the authenticity of the teachings. Furthermore, many practitioners spend their entire lives in one monastery, devoting considerable time and effort to thoroughly training in only one tradition to the exclusion of others. Consequently, some practitioners are less open to the views and good qualities of other traditions. The Rimé movement is critical to the advancement of Buddhism on a global scale as it teaches practitioners to respect all traditions while establishing a sound foundation of Dharma knowledge and practice. With this balanced view comes the ability to assist many people, regardless of their beliefs, and this is one of the main goals of Rimé, recognised by many Tibetan masters as a rare and precious view of Buddhism.